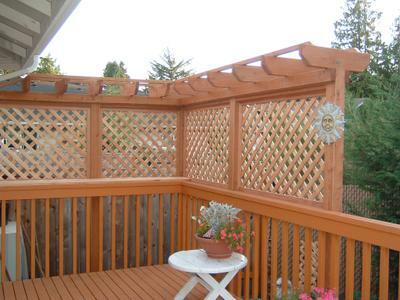 A fence featuring square lattice and some chunky posts creates a decorative yard accent as well as adds some privacy to any yard. Choose from different grades of cedar as well as the different designs such as diagonal, square, privacy and estate spacing. Prices vary in diameter and specie. Price marked is not correct please email for more information.